Chances are you’ve seen one of these before. These can be caused by things such as faulty devices or drivers, bad RAM, malware or driver conflicts. In a lot of cases these problems can be solved by restarting, pressing F8 and selecting the “Last Known Good” configuration option from the menu. If this doesn’t work, more investigation is needed. 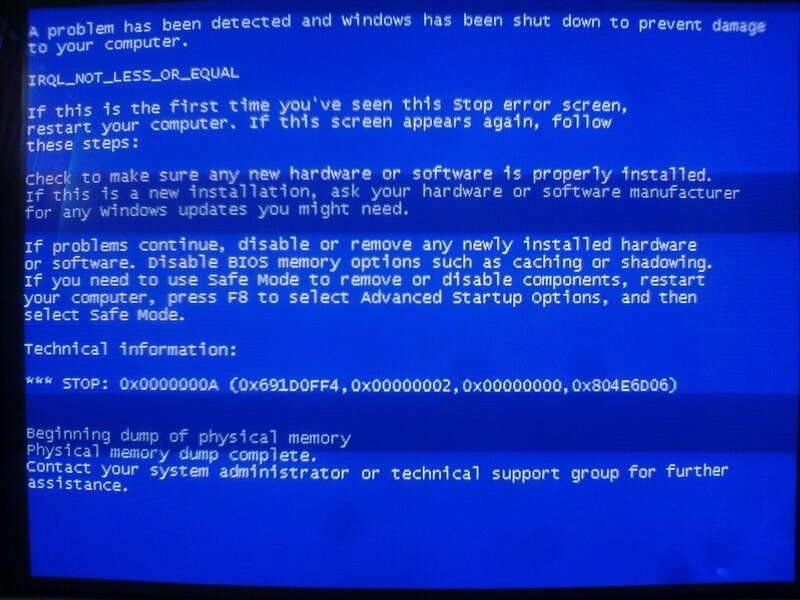 If you’re stuck with a blue screen like this one, contact us now.